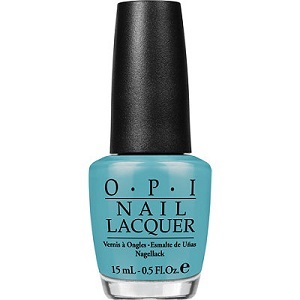 OPI Nail Polish, Can't Find My Czechbook, NLE75, 50 fl. oz. Aqua blue creme nail color.